Deadline for advertising is now extended to Dec. 23. Publication date for the directories is the first week in January. 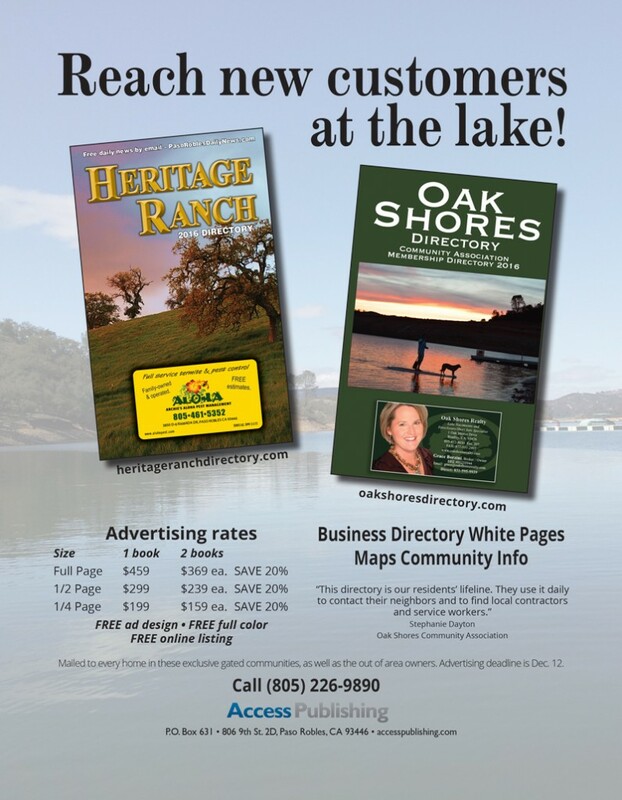 Distribution of more than 3,500 printed directories is by US mail to every resident in the area. Additionally, the books are available at the community association offices.